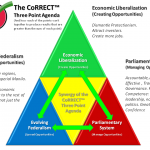 (As a tribute to the great Singaporean statesman, Singapore’s first Prime Minister and visionary “Third World to First” leader who passed away early morning of March 23, 2015 (Monday morning), the CoRRECT™ Movement would like to republish an old article written by its principal co-founder. We in the CoRRECT™ Movement maintain that in order for someone of Lee Kuan Yew’s caliber, character, and competence to ever emerge as the top leader of the Philippines, the Philippines must first have a Parliamentary System. Otherwise, if the Philippines insists on sticking with its defective and flawed Presidential System, then the Philippines will continue to be stuck with corrupt traditional politicians, actors and celebrities, and lazy hacienda-owning scions winning elections and doing nothing to fix the Philippines. Only a Parliamentary System can allow a competent Lee Kuan Yew or Mahathir-type of leader to emerge victorious in a Third World country like the Philippines, in the Singapore of the 1960’s or in the Malaysia of the 1980’s. 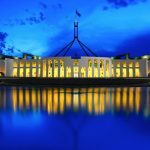 We invite all who read this article to please learn more about the Parliamentary System in order to understand better on why the way it works tends to produce better-quality leaders than Presidential Systems. One of the best ways for us Filipinos to realize the Truth about ourselves and our country is to find out how people from other countries observe us and our society. This is best done when the one observing and describing us is an extremely well-informed and highly intelligent non-Filipino who has had his own fair share of problems similar to the ones that the Philippines has gone through (or is currently going through), and had a hand in actual problem-solving for his own country’s originally Philippines-like issues. An example of such a person is Singaporean Minister Mentor and former Prime Minister Lee Kuan Yew. 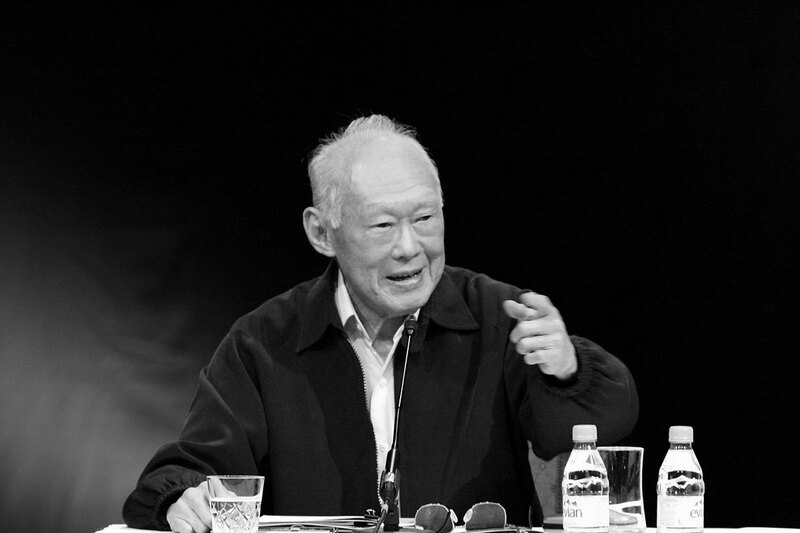 Hailed as the Father of Modern Singapore, Lee Kuan Yew and his People’s Action Party were able to craft appropriate solutions for the issues and problems that were hounding Singapore early on in its history as a newly-independent Third World country with no natural resources, a huge number of uneducated people, and security problems resulting from the initial hostility of its neighbors towards it, among many other problems and managed to turn it into Southeast Asia’s oasis of prosperity and development and a First World hub within a region of what were then known as “Third World” countries. Far from just being a book about Lee Kuan Yew or Singapore’s history of development, “From Third World to First” is also a collection of invaluable lessons in economic development, policy-making, international diplomacy, statecraft, domestic politics, history & culture, behavioural and cultural reform,meritocracy, the principles of pragmatic idealism, and examples of ingenious out-of-the-box thinking. 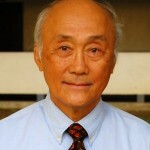 In it, Lee Kuan Yew himself also describes how he and his team of technocrats were able to reform the culture, mindset, and behavior of a people who in the 1950’s were still predisposed to spitting in public and other unhygienic behavior as a result of carefully-planned behavioural-modification policies and systems which have turned Singapore into one of the cleanest and most orderly societies in Asia as well as well as the World. This book can no doubt serve as a helpful handbook for any would-be leader of any Third World country looking to move into the First World. I truly encourage all Filipinos who work in government, have an interest in government, or are looking for lessons on how to craft solutions to the problems of the Philippines to please buy a copy of this book. I assure everyone that “From Third World to First” will not just be eye-opening and enlightening, it will also enable Filipinos to understand that finding solutions to our problems is very possible if only we adopted a can-do attitude, a bias for intense learning and analysis, a solid framework for critical analysis and big-picture thinking, as well as a grounding in practical & creative out-of-the-boxproblem-solving. 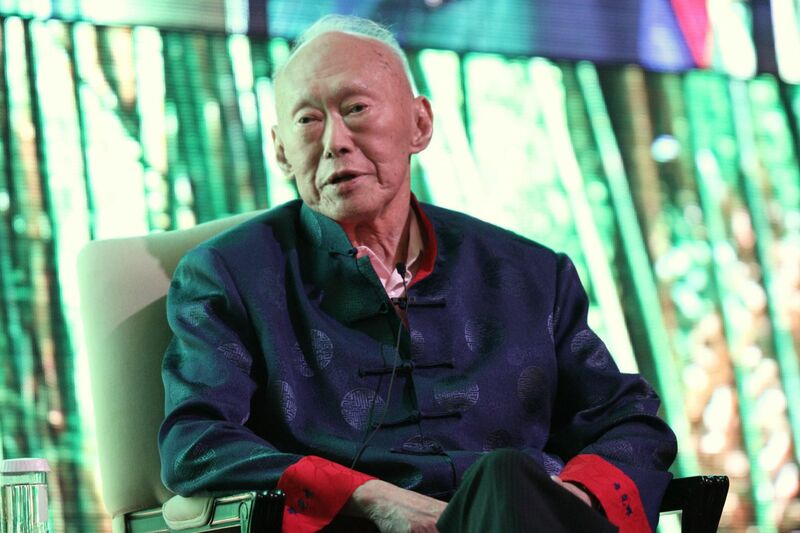 If Singapore with Lee Kuan Yew and the People’s Action Party could do it, why can’t we? The Philippines was a world apart from us, running a different style of politics and government under an American military umbrella. It was not until January 1974 that I visited President Marcos in Manila. When my Singapore Airlines plane flew into Philippine airspace, a small squadron of Philippine Air Force jet fighters escorted it to Manila Airport. There Marcos received me in great style – the Filipino way. I was put up at the guest wing of Malacañang Palace in lavishly furnished rooms, valuable objects of art bought in Europe strewn all over. Our hosts were gracious, extravagant in hospitality, flamboyant. Over a thousand miles of water separated us. There was no friction and little trade. We played golf, talked about the future of ASEAN, and promised to keep in touch. 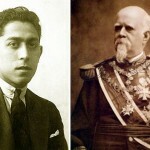 His foreign minister, Carlos P. Romulo, was a small man of about five feet some 20 years my senior, with a ready wit and a self-deprecating manner about his size and other limitations. Romulo had a good sense of humor, an eloquent tongue, and a sharp pen, and was an excellent dinner companion because he was a wonderful raconteur, with a vast repertoire of anecdotes and witticisms. He did not hide his great admiration for the Americans. One of his favourite stories was about his return to the Philippines with General MacArthur. As MacArthur waded ashore at Leyte, the water reached his knees but came up to Romulo’s chest and he had to swim ashore. His good standing with ASEAN leaders and with Americans increased the prestige of the Marcos administration. Marcos had in Romulo a man of honor and integrity who helped give a gloss of respectability to his regime as it fell into disrepute in the 1980s. In Bali in 1976, at the first ASEAN summit held after the fall of Saigon, I found Marcos keen to push for greater economic cooperation in ASEAN. But we could not go faster than the others. To set the pace, Marcos and I agreed to implement a bilateral Philippines-Singapore across-the-board 10 percent reduction of existing tariffs on all products and to promote intra-ASEAN trade. We also agreed to lay a Philippines-Singapore submarine cable. I was to discover that for him, the communiqué was the accomplishment itself; its implementation was secondary, an extra to be discussed at another conference. We met every two to three years. He once took me on a tour of his library at Malacañang, its shelves filled with bound volumes of newspapers reporting his activities over the years since he first stood for elections. There were encyclopedia-size volumes on the history and culture of the Philippines with his name as the author. His campaign medals as an anti-Japanese guerrilla leader were displayed in glass cupboards. He was the undisputed boss of all Filipinos. Imelda, his wife, had a penchant for luxury and opulence. When they visited Singapore before the Bali summit they came in stye in two DC8’s, his and hers. Marcos did not consider China a threat for the immediate future, unlike Japan. He did not rule out the possibility of an aggressive Japan, if circumstances changed. He had memories of the horrors the Imperial Army had inflicted on Manila. We had strongly divergent views on the Vietnamese invasion and occupation of Cambodia. While he, pro forma, condemned the Vietnamese occupation, he did not consider it a danger to the Philippines. There was the South China Sea separating them and the American navy guaranteed their security. As a result, Marcos was not active on the Cambodian question. Moreover, he was to become preoccupied with the deteriorating security in his country. Marcos, ruling under martial law, had detained opposition leader Benigno (Ninoy) Aquino, reputed to be as charismatic and powerful a campaigner as he was. He freed Aquino and allowed him to go to the United States. As the economic situation in the Philippines deteriorated, Aquino announced his decision to return. Mrs. Marcos issued several veiled warnings. When the plane arrived at Manila Airport from Taipei in August 1983, he was shot as he descended from the aircraft. A whole posse of foreign correspondents with television camera crews accompanying him on the aircraft was not enough protection. International outrage over the killing resulted in foreign banks stopping all loans to the Philippines, which owed over US$25 billion and could not pay the interest due. This brought Marcos to the crunch. He sent his minister for trade and industry, Bobby Ongpin, to ask me for a loan of US$300-500 million to meet the interest payments. I looked him straight in the eye and said, “We will never see that money back.” Moreover, I added, everyone knew that Marcos was seriously ill and under constant medication for a wasting disease. What was needed was a strong, healthy leader, not more loans. Shortly afterward, in February 1984, Marcos met me in Brunei at the sultanate’s independence celebrations. He had undergone a dramatic physical change. Although less puffy than he had appeared on television, his complexion was dark as if he had been out in the sun. He was breathing hard as he spoke, his voice was soft, eyes bleary, and hair thinning. He looked most unhealthy. An ambulance with all the necessary equipment and a team of Filipino doctors were on standby outside his guest bungalow. 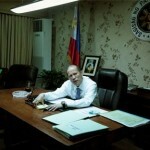 Marcos spent much of the time giving me a most improbable story of how Aquino had been shot. As soon as all our aides left, I went straight to the point, that no bank was going to lend him any money. They wanted to know who was going to succeed him if anything were to happen to him; all the bankers could see that he no longer looked healthy. 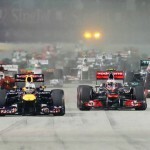 Singapore banks had lent US$8 billion of the US$25 billion owing. The hard fact was they were not likely to get repayment for some 20 years. He countered that it would be only eight years. I said the bankers wanted to see a strong leader in the Philippines who could restore stability, and the Americans hoped the election in May would throw up someone who could be such a leader. I asked whom he would nominate for the election. He said Prime Minister Cesar Virata. I was blunt. Virata was a nonstarter, a first-class administrator but no political leader; further, his most politically astute colleague, defense minister Juan Ponce Enrile, was out of favour. Marcos was silent, then he admitted that succession was the nub of the problem. If he could find a successor, there would be a solution. As I left, he said, “You are a true friend.” I did not understand him. It was a strange meeting. With medical care, Marcos dragged on. Cesar Virata met me in Singapore in January the following year. He was completely guileless, a political innocent. He said that Mrs. Imelda Marcos was likely to be nominated as the presidential candidate. I asked how that could be when there were other weighty candidates, including Juan Ponce Enrile and Blas Ople, the labor minister. Virata replied it had to do with “flow of money; she would have more money than other candidates to pay for the votes needed for nomination by the party and to win the election. He added that if she were the candidate, the opposition would put up Mrs. Cory Aquino and work up the people’s feelings. He said the economy was going down with no political stability. The denouement came in February 1986 when Marcos held presidential elections which he claimed he won. 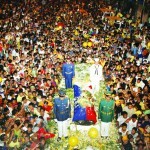 Cory Aquino, the opposition candidate, disputed this and launched a civil disobedience campaign. Defense Minister Juan Enrile defected and admitted election fraud had taken place, and the head of the Philippine constabulary, Lieutenant General Fidel Ramos, joined him. A massive show of “people power” in the streets of Manila led to a spectacular overthrow of a dictatorship. The final indignity was on 25 February 1986, when Marcos and his wife fled in U.S. Air Force helicopters from Malacañang Palace to Clark Air Base and were flown to Hawaii. This Hollywood-style melodrama could only have happened in the Philippines. Mrs. Aquino was sworn in as president amid jubilation. 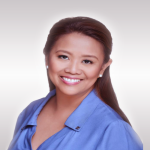 I had hopes that this honest, God-fearing woman would help regain confidence for the Philippines and get the country back on track. I visited her that June, three months after the event. She was a sincere, devout Catholic who wanted to do her best for her country by carrying out what she believed her husband would have done had he been alive, namely, restore democracy to the Philippines. Democracy would then solve their economic and social problems. At dinner, Mrs. Aquino seated the chairman of the constitutional commission, Chief Justice Cecilia Muñoz-Palma, next to me. I asked the learned lady what lessons her commission had learned from the experience of the last 40 years since independence in 1946 would guide her in drafting the constitution. 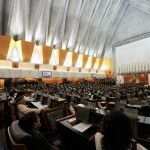 She answered without hesitation, “We will not have any reservations or limitations on our democracy. We must make sure that no dictator can ever emerge to subvert the constitution.” Was there no incompatibility of the American-type separation of powers with the culture and habits of the Filipino people that had caused problems for the presidents before Marcos? Apparently none. Endless attempted coups added to Mrs. Aquino’s problems. The army and the constabulary had been politicized. Before the ASEAN summit in December 1987, a coup was threatened. Without President Suharto’s firm support the summit would have been postponed and confidence in Aquino’s government undermined. 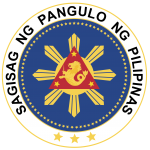 The Philippine government agreed that the responsibility for security should be shared between them and the other ASEAN governments, in particular the Indonesian government. General Benny Moerdani, President Suharto’s trusted aide, took charge. He positioned an Indonesian warship in the middle of Manila Bay with helicopters and a commando team ready to rescue the ASEAN heads of government if there should be a coup attempt during the summit. I was included in their rescue plans. I wondered if such a rescue could work but decided to go along with the arrangements, hoping that the show of force would scare off the coup leaders. We were all confined to the Philippine Plaza Hotel by the seafront facing Manila Bay where we could see the Indonesian warship at anchor. The hotel was completely sealed off and guarded. The summit went off without any mishap. We all hoped that this show of united support for Mrs. Aquino’s government at a time when there were many attempts to destabilize it would calm the situation. It made no difference. There were more coup attempts, discouraging investments badly needed to create jobs. This was a pity because they had so many able people, educated in the Philippines and the United States. 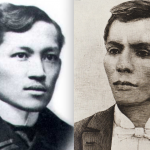 Their workers were English-speaking, at least in Manila. There was no reason why the Philippines should not have been one of the more successful of the ASEAN countries. In the 1950s and 1960s, it was the most developed, because America had been generous in rehabilitating the country after the war. Something was missing, a gel to hold society together. The people at the top, the elite mestizos, had the same detached attitude to the native peasants as the mestizos in their haciendas in Latin America had toward their peons. They were two different societies: Those at the top lived a life of extreme luxury and comfort while the peasants scraped a living, and in the Philippines it was a hard living. They had no land but worked on sugar and coconut plantations.They had many children because the church discouraged birth control. The result was increasing poverty. It was obvious that the Philippines would never take off unless there was substantial aid from the United States. George Shultz, the secretary of state, was sympathetic and wanted to help but made clear to me that the United States would be better able to do something if ASEAN showed support by making its contribution. The United States was reluctant to go it alone and adopt the Philippines as its special problem. Shultz wanted ASEAN to play a more prominent role to make it easier for the president to get the necessary votes in Congress. I persuaded Shultz to get the aid project off the ground in 1988, before President Reagan’s second term of office ended. He did. There were two meetings for a Multilateral Assistance Initiative (Philippines Assistance Programme): The first in Tokyo in 1989 brought US$3.5 billion in pledges, and the second in Hong Kong in 1991, under the Bush administration, yielded US$14 billion in pledges. But instability in the Philippines did not abate. This made donors hesitant and delayed the implementation of projects. Mrs. Aquino’s successor, Fidel Ramos, whom she had backed, was more practical and established greater stability. In November 1992, I visited him. In a speech to the 18th Philippine Business Conference, I said, “I do not believe democracy necessarily leads to development. I believe what a country needs to develop is discipline more than democracy.” In private, President Ramos said he agreed with me that British parliamentary-type constitutions worked better because the majority party in the legislature was also the government. Publicly, Ramos had to differ. He knew well the difficulties of trying to govern with strict American-style separation of powers. The senate had already defeated Mrs. Aquino’s proposal to retain the American bases. The Philippines had a rambunctious press but it did not check corruption. Individual press reporters could be bought, as could many judges. Something had gone seriously wrong. Millions of Filipino men and women had to leave their country for jobs abroad beneath their level of education. Filipino professionals whom we recruited to work in Singapore are as good as our own. Indeed, their architects, artists, and musicians are more artistic and creative than ours. Hundreds of thousands of them have left for Hawaii and for the American mainland. It is a problem the solution to which has not been made easier by the workings of a Philippine version of the American constitution. The difference lies in the culture of the Filipino people. It is a soft, forgiving culture. Only in the Philippines could a leader like Ferdinand Marcos, who pillaged his country for over 20 years, still be considered for a national burial. Insignificant amounts of the loot have been recovered, yet his wife and children were allowed to return and engage in politics. They supported the winning presidential and congressional candidates with their considerable resources and reappeared in the political and social limelight after the 1998 election that returned President Joseph Estrada. General Fabian Ver, Marcos’s commander-in-chief who had been in charge of security when Aquino was assassinated, had fled the Philippines together with Marcos in 1986. When he died in Bangkok, the Estrada government gave the general military honors at his burial. One Filipino newspaper, Today, wrote on 22 November 1998, “Ver, Marcos and the rest of the official family plunged the country into two decades of lies, torture, and plunder. Over the next decade, Marcos’s cronies and immediate family would tiptoe back into the country, one by one – always to the public’s revulsion and disgust, though they showed that there was nothing that hidden money and thick hides could not withstand.” Some Filipinos write and speak with passion. If they could get their elite to share their sentiments and act, what could they not have achieved? President Noynoy Aquino and everyone in his cabinet and staff (all secretaries down to the director level) should all get copies of “From Third World to First” and read the book at least twice. We in the CoRRECT™ Movement encourage all readers of this article to please purchase copies of the late Lee Kuan Yew’s book “From Third World to First.” The insights in the book can give Filipinos a good lesson on how things are best done based on the situation a country happens to be in. Lee Kuan Yew became Singapore’s first prime minister in 1959, at the age of thirty-five and quickly developed Singapore’s economy through the aggressive invitation of foreign Multinational Corporations by avoiding economic protectionism and creating a business-friendly environment in order to concentrate on the immediate task of job creation for the ordinary citizens. In November 1990, he resigned the office to assume the advisory post of Senior Minister in the Singapore Cabinet and in 2004, took on the title of the “emeritus” role of Minister Mentor when his successor as Prime Minister, Goh Chok Tong (吳作棟)became Senior Minister after Goh resigned the premiership. He died on Monday, 23 March 2015 after a battle with severe pneumonia. 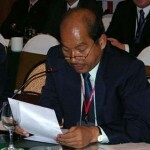 Lee Kuan Yew’s son, Lee Hsien-Loong (李顯龍) now serves as Singapore’s Prime Minister after so many years of being given the most difficult and challenging of job assignments, proving himself academically superior to his peers at school, and needing to prove his worth purely through merit by rising up through the ranks in both the military and the civil service (he became a Brigadier-General), and not because he is the son of Lee Kuan Yew. Being Cebuano (half-Cebuano, half-Tagalog), and having lived in Cebu, he is a staunch supporter of Federalism. Having experienced OFW-life himself, he has seen firsthand how the dearth of investment – both local and foreign – is the cause of the high unemployment and underemployment that exists in the Philippines as well as the low salaries earned by people who do have jobs. 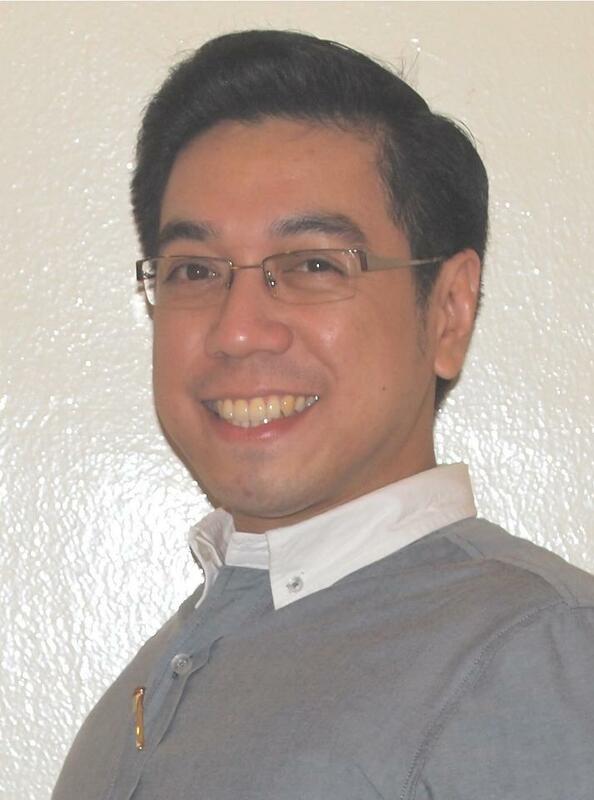 He is the principal co-founder of the CoRRECT™ Movement and is an accomplished stand-up comedian in Singapore in addition to having been originally known as one of the most popular television quiz show champions in RPN-9’s Battle of the Brains.